Tuesday is Books & Libraries Day at the River Houses, and on the first Tuesday of each month we invite you and your homescholars to explore one of the major Dewey Decimal classes at your local library. If you start at the beginning of the River Houses year in September and run until July, you can “adopt” one major class each month and cover the whole of knowledge (!) in a year. Each of these divisions is subdivided further of course: the 280s (Christian Denominations), for example, include works on the Early Church (281), Roman Catholicism (282), Anglicanism (283), Methodism (287), and so on. 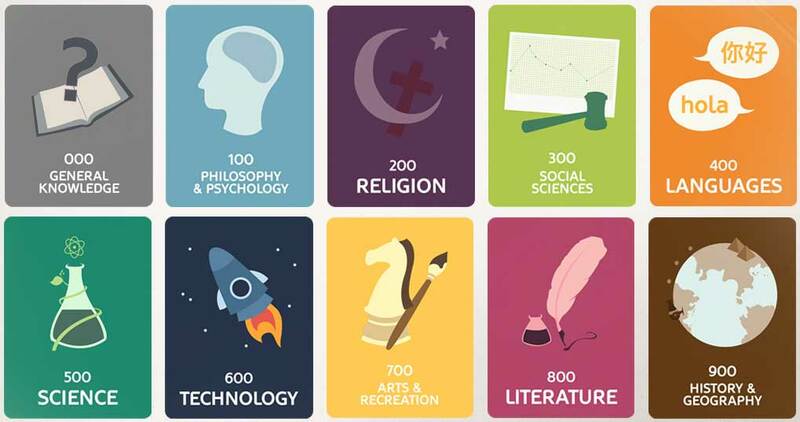 When you’re learning the library with your students, be sure they understand that any library collection that uses the Dewey Decimal Classification will be arranged in the same way: the numbers run from 000 to 999 in every Dewey-based library, so if you’re interested in, say, astronomy, you’ll find it in the 520s in both the small-town library near you and in the big-city library across the country.